Pareto sends a weekly newsletter with information about our events, information about the master program as well as job adverts. Sign up if you are interested! Congratulations on your admittance to the Master programme in Economics at Uppsala University. As the start of the semester is approaching with huge steps, we wanted to provide some, perhaps useful, information for you. The Pareto Guide for newly admitted Master students should cover some basic insights into the student and university life here in Uppsala. As a newly admitted student, especially from outside of Sweden, you might find some novelties about the programme and the university in there. You can find the file under the following link Pareto_Introduction_Guide_2017.pdf . 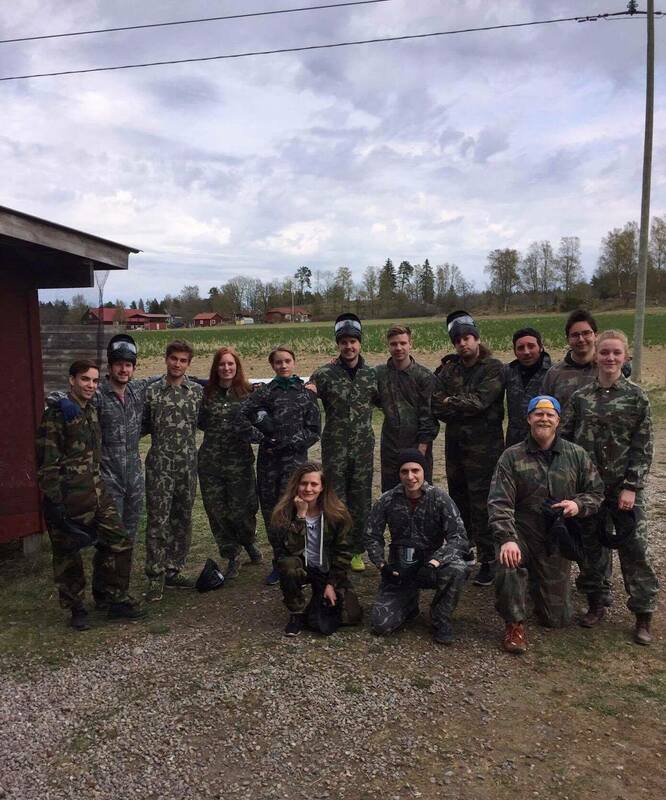 This Sunday, Pareto organised a paintball event at Fullerö Aktivitet & Paintball. The day offered a fun & thrilling game, good company, tasty BBQ and a lot of new bruises! Pareto hosted a PhD talk on the 5th of April. Henrik Andersson, a PhD student at the Institute for Housing and Urban research, presented his research which has a more interdisciplinary focus than your normal economics PhD student. On the 7th of March, Pareto organised a Stata and Latex Session together with Fredrick Hoyles, who guided the second year students last year through their econometrics program. This was a great opportunity for the first year students to learn more about the two software programs for their current econometrics projects.